Patients of Dr. Vickii Bingham-Lester trust that they will receive expert dental care using advanced technologies and a calming chairside manner. The doctor and her team are committed to providing an array of treatments so that patients can achieve the healthy mouth that they need and the beautiful smile that they want. In cosmetic and restorative dental care, Dr. Bingham-Lester will always strive to save a tooth before extracting it. While there are many options for replacing a tooth, even the best options aren’t quite the same as keeping your natural tooth. When teeth are badly decayed or damaged, patients often opt for dental crowns. A crown, also called a cap, is used to restore a tooth when a cavity progress too far for a simple filling. It is also used when a tooth is badly broken. The crown is a hollow replacement tooth that is bonded over the natural tooth. It replaces the damaged portion while keeping the underlying tooth structure. 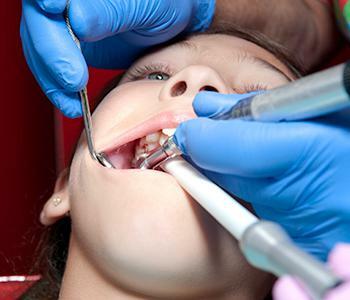 With a dental crown, patients will be able to smile, speak, and eat without worrying about further damage to the tooth. In the past, crowns were often made of metal. While this gave patients the support and function that they needed, metal crowns were not appealing cosmetically. Now, crowns can be made from porcelain, which can be custom made in many colors. Therefore, it’s a direct match to the remaining teeth. No one will ever be able to detect that it’s part of a restorative or cosmetic treatment. To learn more about dental crowns, call Dr. Bingham-Lester, conveniently located in the Crofton area, today.